Driven by our commitment to excellence, our schools pursue the voluntary achievement of a nationally recognized accreditation. Accreditation is an important distinction awarded to schools who exhibit compliance with the highest standards of quality in child care and early education programs. 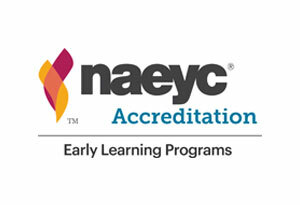 NAEYC is the nation’s premier organization for early childhood addcreditation and represents the mark of high quality in early childhood education. •	Underwent a final review by the NAEYC commission. NECPA is a distinguished, early childhood education accrediting organization that recognizes schools who provide high quality in early childhood education. •	Underwent a final review by the NECPA Board of Commissioners. Speak with your director to learn more about the requirements in your state. 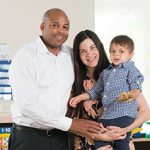 Your child will attend a school that provides a safe and healthful environment for children, has teachers who are highly qualified and well-trained, uses a curriculum that promotes school-readiness, upholds standards that far exceed state licensing requirements, and implements best practices in early childhood education. One hundred percent of our eligible schools are accredited. This is an accomplishment no other child care provider of our size has achieved, and only six percent of early childhood programs nationwide are accredited. As an accredited program, New Horizon Academy joins a select group of early childhood education centers distinguished by our quality, our commitment to young children, and our dedication to excellence.